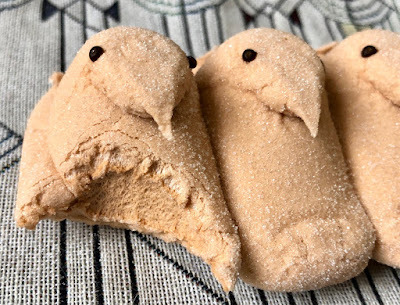 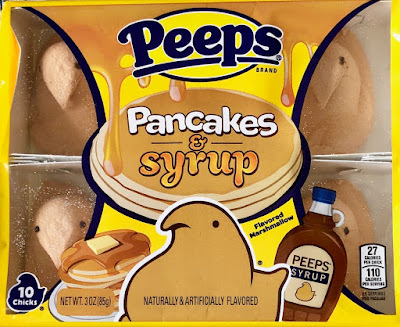 Easter is Peeps season and I love this Spring's new Pancakes & Maple Syrup Chicks! 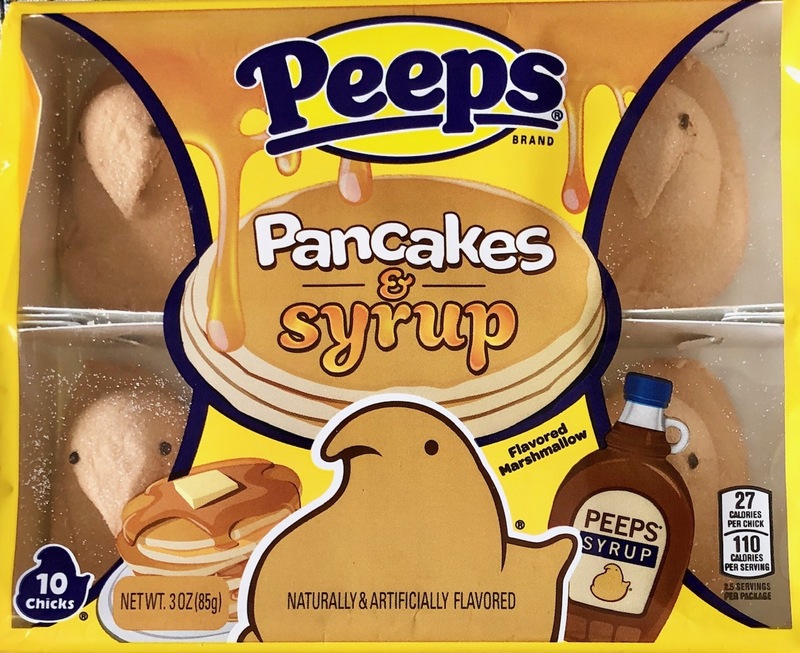 The aroma exactly matches that of warm artificial maple syrup and there's an undercurrent of muffin or pancake underlying the maple to balance it out a little. 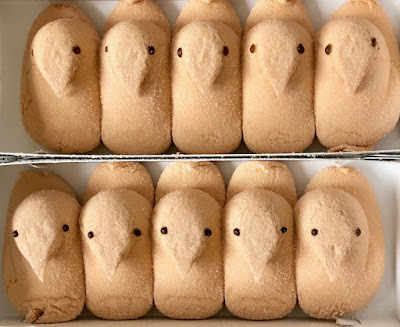 The key is that although the aroma is strong, the flavor is subtle and soft, not overpowering. I really enjoyed this new flavor and hope we'll see it in future holiday seasons.